San Francisco must have taken a chapter out of Laer Pearce’s new book “Crazifornia.” The city’s new CleanPower SF plan garners subsidies from U.S. taxpayers for green-power purchases. Sounds crazy, doesn’t it? But you would have to be crazy not to shift your green power purchases onto U.S. taxpayers if laws provide for it. And what city wouldn’t want to do it if it could cover it up as part of their compliance with AB 32, the California Global Warming Solutions Act of 2006? San Francisco is “gaming the system,” just as Enron supposedly did in the 2001 state energy crisis. But there is a double standard when municipalities do it. 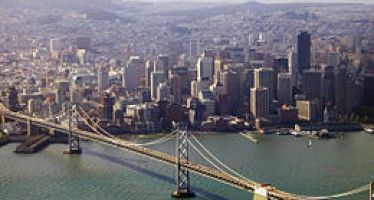 Major newspapers are uncritically reporting San Francisco’s pending adoption of its CleanPowerSF plan where it would buy electricity from Shell North America’s renewable power business. The new plan is part of the city’s “community choice aggregation” system authorized in 2002 after the state’s energy crisis under Assembly Bill 117, sponsored by Assemblywoman Carole Migden, D-San Francisco. CleanPowerSF provides an option to electricity customers to choose renewable fuel like solar and wind for their homes. Customers could stay with Pacific Gas & Electric, which previously had a monopoly on providing power to the city. Or they would choose to get clean, renewable power, reportedly for a higher price. Most energy experts agree that renewable power costs much more than electricity from conventional natural gas power plants. So why would San Francisco want to do this? San Francisco is poised to authorize $2 million to study local power generation options. The CleanPowerSF program would end up automatically enrolling about half of the city’s 375,000 electricity customers. Customers would be given five months to opt out at no charge. But the city calls this a “choice.” It would cost $5 to get out of the program after the first five months. Reportedly, customers would see their electricity bills increase about $9 per month ($108 per year) to buy higher-priced clean power. That would end up costing customers about $40.5 million more, total, each year once all city customers are enrolled. To lure its customers back, PG&E plans to offer its own Green Option Program that would only cost $6 per month more by instead relying on a mix of renewable power and clean-energy credits. PG&E profits won’t suffer because those who opt out will still have to pay a premium in their power rate to do so. This is called a “power charge indifferent adjustment.” You can always tell when government and utilities don’t want you to know what a charge is when it is described in bureaucratic gobbledygook. A low energy user in San Francisco pays about $89.31 per month for electricity from PG&E. So $9 more would reflect an electricity price hike of about 10 percent. But perhaps what is behind the Community Choice Aggregation plan is an old-fashioned, buy low-sell high scheme. Using different terms, this is called “arbitraging,” “playing the price spread,” or “gaming the system.” The Wall Street Journal article by Lamar Alexander and Mike Pompeo of Sept. 18 — “Puff, the Magic Drag on the Economy” — gives us a clue as to how this might work. Conventional power plants only generate electricity sales when there is a demand for energy. But solar and wind power plants can collect a federal tax credit for every kilowatt hour they produce power, whether there is a demand for it or not. Strangely, the government green power subsidy is so generous that green power producers can pay municipal power departments to buy it. It’s called “negative pricing.” It allows green-power companies actually to bribe customers to take their power so they can collect a net profitable tax subsidy from U.S. taxpayers. Voila! Another example of Laer Pearce’s “Crazifornia,” where higher electricity prices are better and lower prices are worse. And to make it even crazier, wind turbines mostly generate electricity at night and thus have an efficiency factor of only about 30 percent. But wind energy producers get a tax credit as if the wind turbine was producing power 24 hours/7 days a week/365 days a year. For a city to generate a 10 percent rate hike and justify it, a city would only have to buy about 2.5 hours of wind power at night when electricity prices are often near zero anyway. You might call wind turbines “tax farms,” not wind farms. Cities impose what are called “Utility User’s Taxes” on electricity, water and telephone bills. The Utility User’s Tax rate in San Francisco is 7.5 percent. So about $3 million per year would get skimmed right off the top into city coffers. Additionally, the city can transfer revenue surpluses from municipal electricity departments into their general funds whenever deemed necessary. So, conceivably, the whole $40.5 million in estimated additional revenues generated under the city’s CleanPowerSF plan could end up in the coffers of the city’s operating budget. Eureka! Another Gold Rush in San Francisco. Maybe the city isn’t so crazy after all. Functional, But is it Necessary? Many public policy experts and journalists claim California is dysfunctional. But San Francisco is proving its motto born in the Progressive 1960’s: “The city that knows how.” And what it knows how to do is shift its electric power costs onto U.S. taxpayers, while double-charging its electric customers and marketing it as a renewable energy program that reduces carbon emissions. Customers in liberal San Francisco are likely to buy this as a feel-good program that they participating in to clean up the environment and bring competition into the power market to lower prices. All this is totally legal and functional. You won’t hear a peep out the California Public Utility Commission about this, because they only regulate private investor-owned utilities, not unregulated municipal utilities. 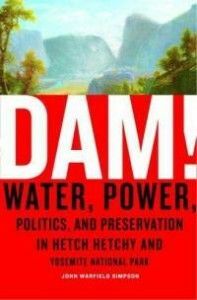 Oddly, San Francisco already is supplied clean hydroelectric power from Hetch Hetchy Dam, which is run by PG&E. But that doesn’t count as “green power” under California’s “green power” law. Now you can see why. It would ruin the city’s tax-farming plan. What is missing from the dysfunction explanation of government in California is the value dimension. California can crazily adopt high-priced green energy plans or build unnecessary bullet trains. And it can make the trains run on time and avoid electric blackouts by buying wind power at night when usage is low. So seemingly crazy government programs and projects can be made to function properly. But function omits the value dimension: Is there a real necessity for such crazy big government? But what if there was a cheaper, clean option all along from hydropower? The unexplainable craziness involved with CleanPowerSF indicates that providing clean, renewable power is not its real purpose or function. Do seemingly “crazy” Rube Goldberg cartoon-like taxing mechanisms fit with our democratic values? Where is the check and balance mechanisms? What happened to the Progressive notion of utility regulation? Who will guard the public interest of the taxpayer and utility ratepayers when the fox is supplying the power for the lights in the henhouse so he can see the chickens better? Just as your you may know some relative who acts “crazy” on the outside but who has a motive to do so, California may not be as crazy as we think it is. It may be crazy like a fox. Now THAT’S crazy. We can’t go on like this! The production tax credit that Misters Alexander and Pompeo refer to (along with section 1603 grants) is scheduled to expire at the end of this year (although there will be legacy projects as the credit is good for ten years.) NOte that the PTC is so generous that green power producers can pay ANYONE to TAKE it, not just municipal power departments. Of course there are huge costs imposed on others (balancig plants, transmission system) that actually increase the costs but that are offloaded by the green power developer. When those costs are properly accounted for and allocataed, Cities like SF are in for a rude awakening. Good point. Where the “externalities” to green power will show up is with increased transmission costs (your balancing plants, new smart grid, blackouts, etc). So cities can buy cheap power but the transmission cost may offset any decrease in price. First off, this is San Francisco, where the laws of logic do not apply, and where reality seldom sets foot (and if it did, it’d be run out of town).